Diego Godin is an Uruguayan professional talented football player. Currently, he plays for Spanish club Atletico Madrid and the Uruguay national team. Some of his teammates include Nahitan Nandez, Luis Suarez and Diego Lugano. His position is a central defender. His shirt number is 2. 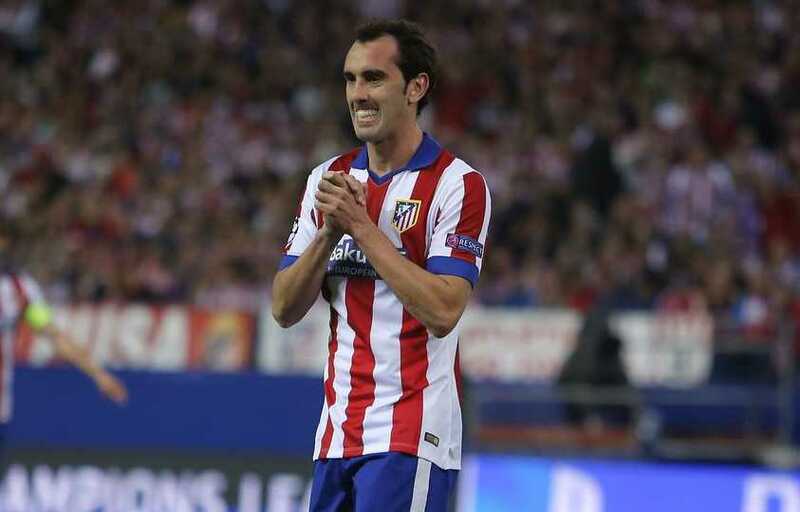 Diego Godin was born on 16th February 1986. His native place is Uruguay. He was born and raised in Rosario, City of Uruguay. His full name is Diego Roberto Godin Leal. He is the son of Julio Godin and Iris Lial. He also has a sister named Lucia Godin. He is of Uruguayan nationality. In 2003, he started his professional football career joining the Uruguayan club Cerro at the early age of seventeen. He played 3 years and got 63 caps kicking 6 goals. The high performance over Cerro attracted to the Nacional de Football in 2006 and was moved to Primera Division powerhouse Club where he quickly became captain due to his maturity, high skill, capability, and professionalism. Godin signed a five-year deal with the Spanish club, La Villarreal. On 7th October 2007, he made his debut for the club in a match against CA Osasuna. For 3 years, he was in the club appearing in 91 games in which he scored total four goals. On 4th August 2010, Godin shifted to Atletico Madrid on a five-year contract. He made his official debut for the club in a match by scoring 2–0 win against Inter Milan for the UEFA Super Cup on 27th August 2007. Again, he signed a new contract with his current team, Atletico on the date of 1st November 2013 which mentioned to keep him at the club until 2018. In 2005, at the age of 18, he made his international debut playing against Mexico in a friendly match. He is one of the key players of his nation. He was also selected in the squad at the 2010 FIFA World Cup in South Africa and 2014 FIFA World Cup. He represented his country in World cup, Copa America and many other tournaments. Altogether he has won over 118 caps scoring 8 goals. 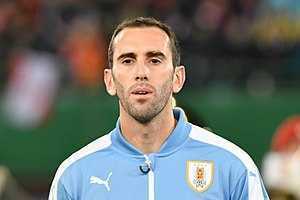 On the ongoing WORLD CUP 2018, Uruguay had reached the quarterfinals where Godin had played 4 games. Three games on the group stage and one game on knockout round 16. Now, they are facing against France on quarterfinal. Diego Godin is neither single nor married too. Currently, he is in a relationship with his beautiful girlfriend Sofia Herrera. Since 2014, the couple is in the relationship. It has already been around for 3 years. His Zodiac Sign is Aquarius. His height is 1.87 m and weight is 73 Kg. His salary is approximately $4,576,000. His net worth is estimated $4.5 million in 2017.